All adventures change as they unfold, and we hope countries and schools from other places will invite us to visit. This may happen as we transit between the places Howard and his Little Ship has scheduled to explore. 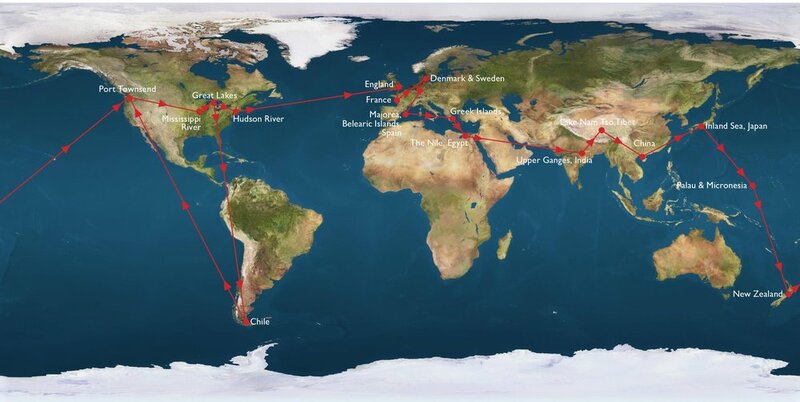 Here is the planned route of the Little Ship. This list will most certainly expand in scope as we are going overland for much of it transiting many countries. Along the way we will seek schools and will be broadcasting live from all we can.